Do you remember Noelle, my friend who wants to be a news reporter? This morning at Sunday School, she told me about a news story she discovered from 2006. 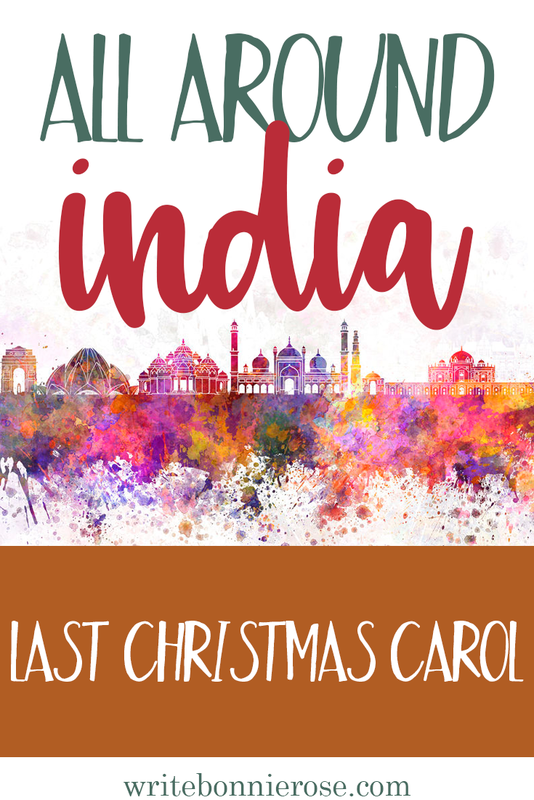 It was Christmas Eve in the shanty town of Jalampur, in the Chhattisgarh region of India. Extremists had announced they would shut down any church service held on Christmas. But Pastor James Ram and some other Christians bravely gathered at a church. While Pastor James Ram and the Christians were singing Christmas carols, men stormed into the church and beat some of them. One Christian lost his hearing after being hit in the head. The news report Noelle read did not mention whether he lost part or all of his hearing from the attack. The Christians of Jalampur could not stay home and stay silent. They chose to celebrate the birth of our Savior, Jesus Christ. I wonder how many people heard their singing that night and wanted to learn more about Who they were celebrating! They knew that the whole world needs to know that Jesus came. And how can they hear if no one tells them? But one of the men lost part or all of his hearing. I wonder what song he was singing before he was hurt. What was the last Christmas carol he heard? And I wonder what he will hear one day when he is Heaven with Jesus. Will he meet someone who heard about Jesus because he told them? Will he hear someone say, “Thank you”? I don’t know if he will get to meet someone like that or not. But I do know that he will hear the voice of Jesus. And that will be the most beautiful sound anyone can ever hear. Click here for Christmas carol copywork. For a wonderful free downloadable activity book called Bold Believers in India, please visit Kids of Courage by The Voice of the Martyrs. There are incredibly brave Christians all around the globe. I wish that one day, if the need will arise, I will be as brave. God bless you and your blog! Joanna, thank you so much for your note! I have the same prayer, that God will equip me for whatever path He leads me on. I am so glad that He who called us is faithful! Really great article. This is a great reminder that we are very privileged in America. Also, anything we suffer here on earth is not worthy to be compared to what we’ll enjoy in Heaven. Thank you so much! We are blessed in so many ways.